Capital One® Spark® Classic for Business may not have the lowest APR, but this small-business credit card offers strong value for entrepreneurs who, with responsible use, want to build corporate credit while also enjoying no annual fee, 1 percent cash back on every purchase and a long list of extra benefits. Consider the Capital One® Spark® Classic for Business if you're in the early stages of building a corporate credit history. This card is intended for business owners with average/fair or limited credit. Spark Classic is the company's entry-level business card, but it offers some powerful features for an account with no annual fee. 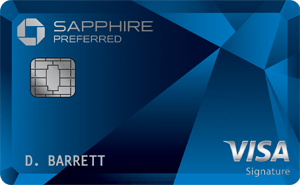 This Visa business credit card includes purchase security and extended protection programs that rival those of American Express (American Express is a CardRatings.com advertiser). Eligible items your team buys with their Capital One® Spark® Classic for Business cards (add employee cards at no additional cost)gets protected against loss or theft within 90 days from the date of purchase. Eligible items with manufacturers' warranties get up to one extra year of covered repairs. On the road, your team can access Capital One® Spark® Classic for Business cards for auto rental insurance when you use your card to rent an eligible vehicle and you're covered for collision, damage and loss. In partnership with Visa, Capital One offers Spark members access to travel and emergency assistance resources, giving small teams the kind of travel support usually enjoyed by Fortune 500 companies. Enjoy dining discounts and special perks at participating merchants when you enroll through Visa® SavingsEdge. It's tough for young and growing businesses to qualify for a no-annual-fee credit card with such a straightforward reward of 1 percent cash back on every purchase. 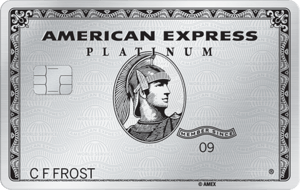 American Express and Chase offer similar cash-back credit cards for businesses, but you’ll need good or excellent credit to qualify. 1 % Cash Back on every purchase. The sky’s the limit when it comes to how much cash back you can earn; 1 percent on every purchase. Using this card in a responsible manner can help bolster your corporate credit. If you have better than average credit you may want to consider a card with higher rewards potential.